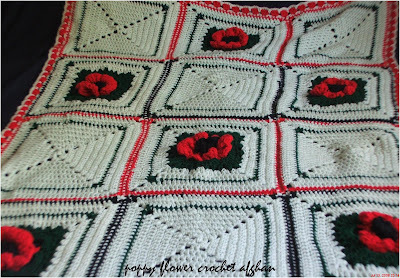 This is one of my favorite afghans I made 5 years ago. 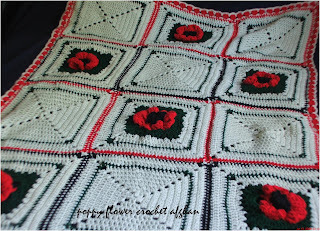 I saw the pattern on the web for poppy flower granny squares. And I sort of extrapolated the squares and changed the gauge to make large squares and joined them together to make this afghan. Can you share the pattern? I would love to make this for my good friend whose birthday is Nov 11.
hi sherri - would love to - I don't have the website bookmarked, however, I did print out the pattern when I used it - I could scan that in and provide a link to it soon. would that help?